Our first anticipated Ofsted Inspection will be during our second year of opening. The report will be published here. Prior to this, within the first year, an Education Adviser from the Department of Education comes in regularly to quality assure all aspects of the school. Please see the link below to visit Parent View and more feedback from our parents. 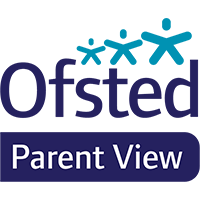 Parent View is an online questionnaire for parents and carers to give feedback on their child’s school. Once a school has a sufficient number of responses from parents/carers, results are published in percentages and can be viewed by schools, parents, carers and the general public.